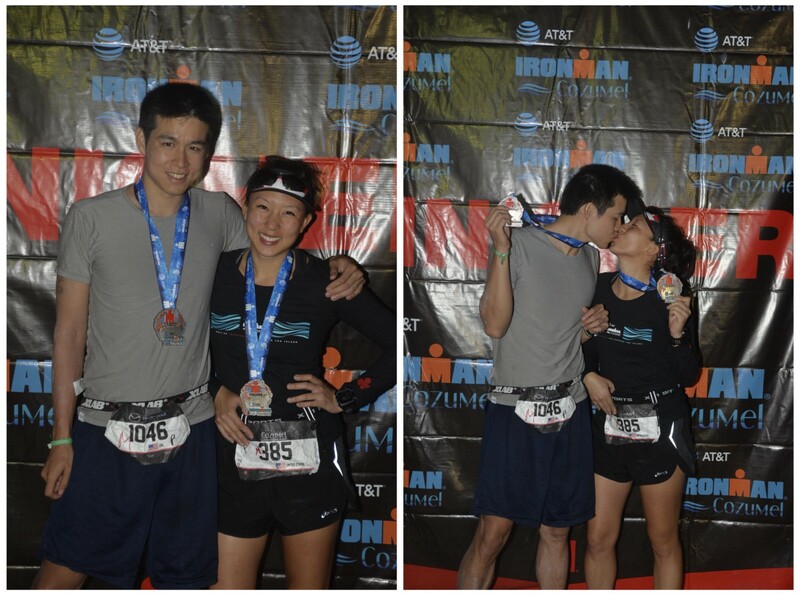 Earlier this spring, my boyfriend Oliver and I decided to do our first Ironman race before the end of the year. (I wrote about my personal journey and the months leading up to race day here.) As a result, we needed to find a race at the very end of the year to give us more time to train. 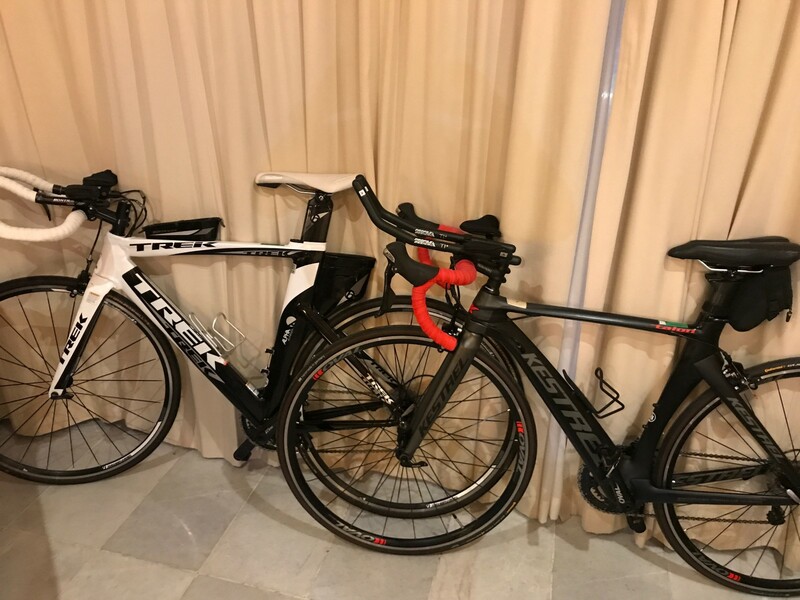 Oliver and I shipped our bikes with TriBike Transport which meant we parted ways with our beloveds 14 days before race day. We planned on swimming and running more, but we skimped quite a bit on those workouts (oops 😁). I also ended up getting really sick the week before, and barely did anything for the 3–4 days before flying to Mexico. If you can call that tapering… that’s what we did. We left San Francisco on the Wednesday before the race. One of the best parts about IM Cozumel is that is falls over Thanksgiving break, which means we (err, Oliver) doesn’t have to miss that many work days. I’m glad we came a few days early to get situated, acclimate to the humidity/heat, and start switching our eating/sleeping schedules. We flew to Cozumel instead of flying to Cancun and taking the ferry. I remember doing a lot of research about hotels a few months ago, and I don’t think there are any bad choices. 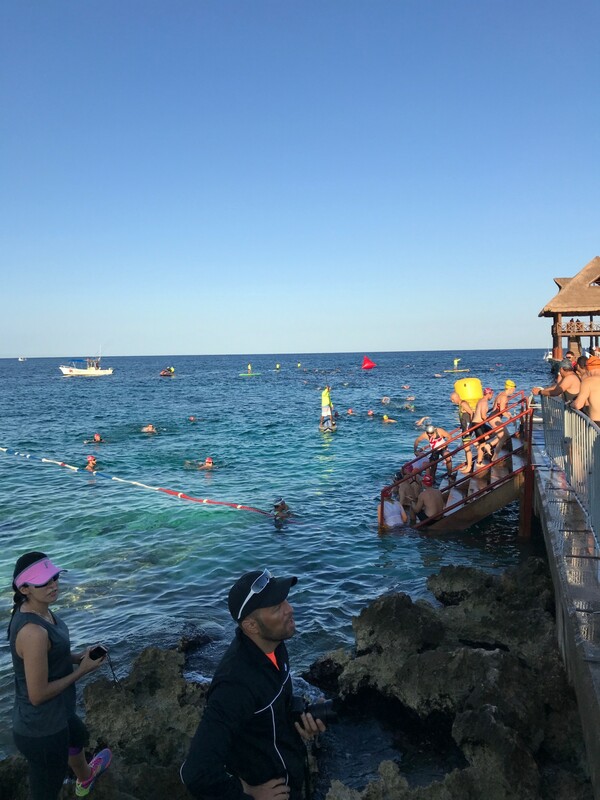 Cozumel is small and there are several hotels that are close to the finish line. All of them will have many Ironman athletes staying as guests. 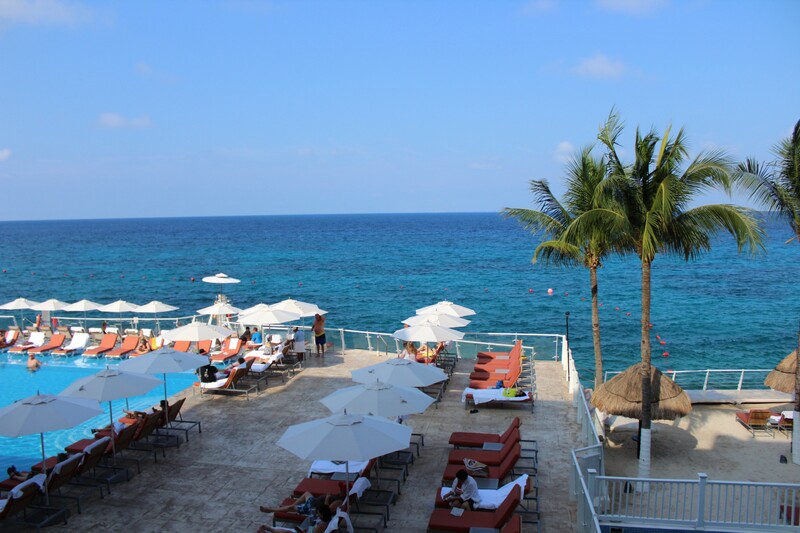 View from our hotel room at Cozumel Palace. We landed on Wednesday, and immediately went on a slow 4-mile run. Still a little sick and tired from traveling, I went to bed before 9pm. I did another 4-mile run, while Oliver did a second short-swim. On Friday morning, we were first in line to pick up our bikes from TriBike Transport. We decided to do one of the three loops as a way to scout out the course and get back on the saddle since we hadn’t ridden in almost 2 weeks! It was so unbelievably beautiful, it made us super duper excited for race day. We also got a sense of the winds, which are no joke. 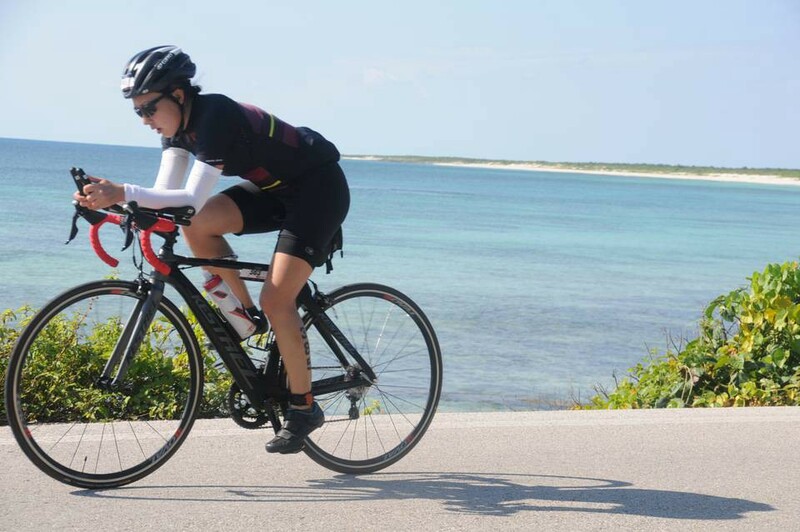 Disc wheels are not allowed for IM Cozumel for a reason. It was also really helpful because I got my first flat tire (EVER) one mile from our hotel. 😳 I am so glad that that happened when it did! It let me practice changing my tire again, and after much deliberation, I decided to replace both of my tires and tubes that I had to buy from one of the bike mechanics. Cozumel locals are so amazingly kind, helpful, and knowledgable about bikes. I have so much love for this island! Getting ready on Saturday was an all-day event. There was a lot of information at the briefing on Friday, and we were definitely a little overwhelmed. The practice swim was canceled on Friday due to weather, so almost every athlete went to Saturday morning’s practice swim. Even though I took notes at the briefing, Oliver and I forgot to wear our timing chips and hadn’t put on our race bracelets yet. They graciously let us do the practice swim anyway. Hallelujah! Saturday morning swim practice at Chankanaab Park. The swim went really well, and based on how it went, I predicted I’d finish the 2.4-mile swim around 1:40. 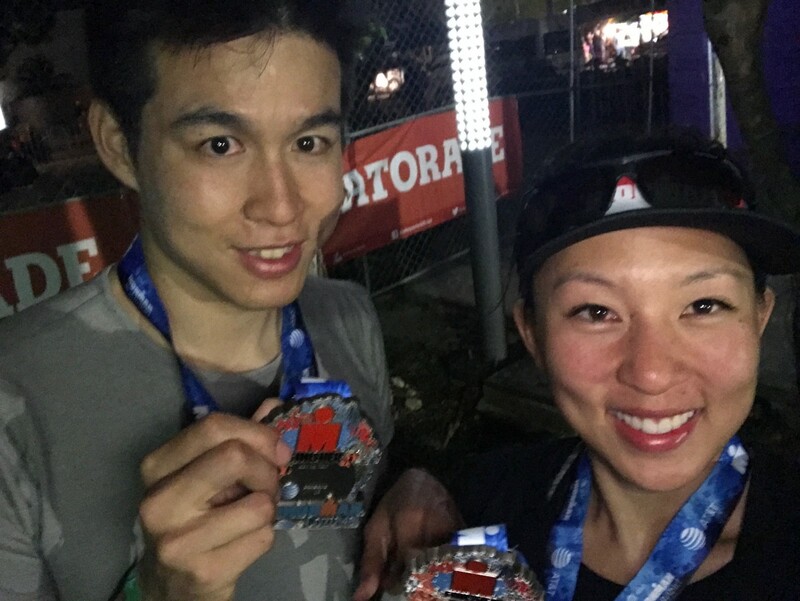 Oliver thought he’d finish in 1:30, which meant we’d argue for the next many hours about whether we’d start the race together or separate (it’s a rolling, self-seeded start). We tried our best to stay off our feet, but it was a busy day. We ate dinner right at 6:30 among many other Ironman racers at our hotel, and turned the lights off to go to bed by 9pm. We woke up at 4am to eat as big of a breakfast as possible. Cozumel Palace set up a special breakfast buffet for its athlete guests. ❤️ I wasn’t hungry at all for some reason, so it was tough for me to eat more than 300 calories. 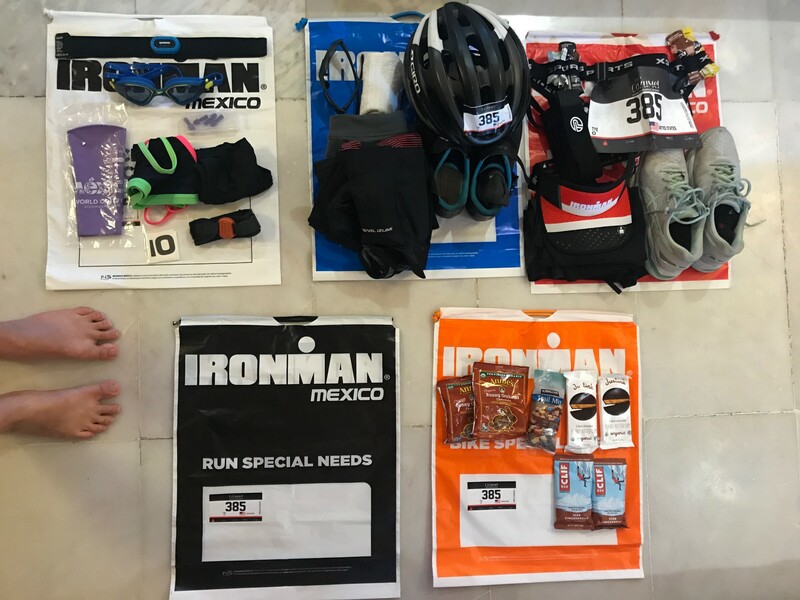 At 5:30am, we took a cab to T1 (Chankanaab Park), where we’d fill up our bike tires, drop off our special needs bags, and get on the shuttle to the Start Zone (Marina Fontanur). We dropped off our white bags (pre-race clothes) at the start, applied sunscreen, drank lots of water, and lined up to start the race. Oliver and I decided to start together, side by side, self-seeding ourselves around the 1:40 time. Before starting my Garmin watch, I noticed we had walked 3500 steps already. 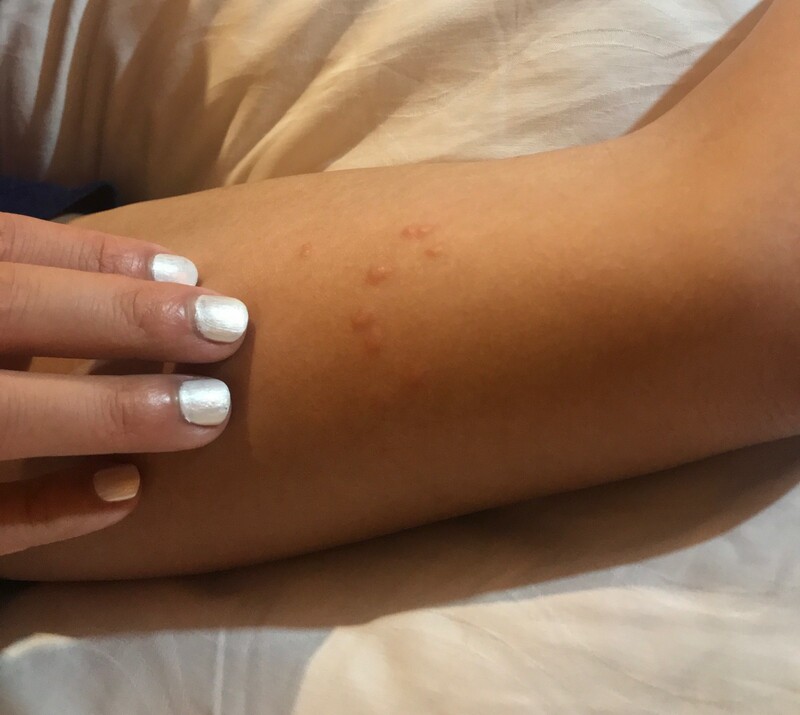 I also got stung several times by baby jellyfish. They looked like delicate little halos floating around, and I thought they were kind of cute until I got stung by them. Jellyfish are evil plastic bags. I drafted behind someone for maybe half of the swim, but at some point felt like I should probably push myself to go even faster. Dangerous choice because I’m not the best at sighting, and the current was coming in at a angle which made it easy to swim in zig zags. Confused by how that was possible, I actually stopped swimming to look at my watch, and it said I had already swam 3100 meters! Turns out… that current is REAL (real awesome). Let me remind you that I am not a strong swimmer. I’m still always in the slowest lane at swim workouts, and am always concerned about DNF-ing in the swims. Despite all of that, I somehow finished at 1:09:20! I assumed Oliver was ahead of me, and took my sweet time in transition. I was nervous about how salty the ocean was, and thoroughly rinsed off to minimize chafing. Everyone in the women’s changing tent was happy, helpful, and kind. Makes sense now that I think of it… we all just did our fastest swims of our lives! I wanted to do the first 30 miles pretty easy, but was having trouble knowing how hard to push because it seemed like everyone around me was going so slow! I’m also always so happy to be done with the swim that I can’t contain the excitement. This race was no different. I tried to eat a whole bar before mile 10, but couldn’t. I ended up stopping to use the bathroom at the second aid station, finish eating, and take my first salt pill. I couldn’t believe that it was only 2 hours into the race and I had already biked 10+ miles! I was genuinely expecting to be sooooo much slower. The wind doesn’t pick up until later in the day, so the backside of the island was, thankfully, less windy than it was on Friday. 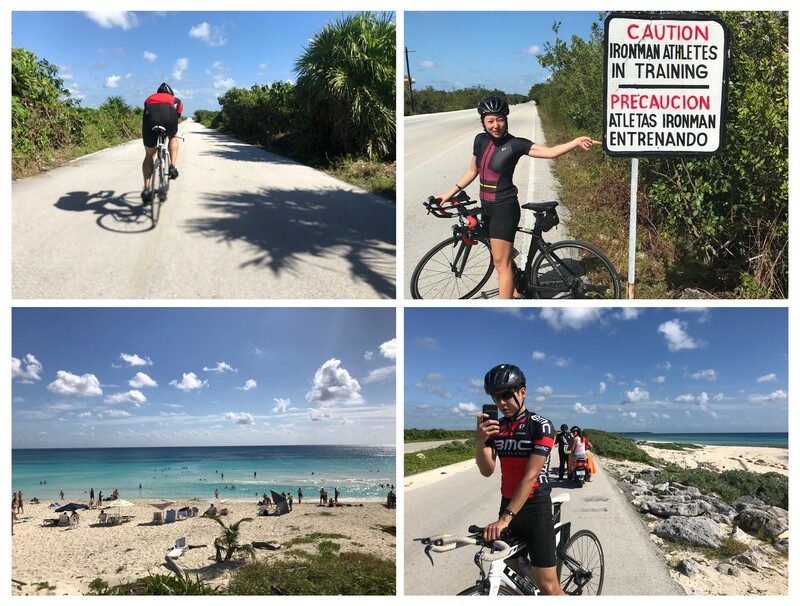 I honestly don’t remember much of the bike ride, other than admiring the beauty, remembering to eat a bite of food every 5 miles, and trying to drink enough water to pee at least one more time on the bike ride. This sounds weird, but I kind of wanted to pee on the bike? All of the pros do it, all of the fastest triathletes pee on their bikes. It sounded like a right of passage! Unfortunately, I still have never peed mid-pedal stroke before. I also broke one of the cardinal rules of racing and did something I had never done on race day: I wore cooling sleeves. So glad I did though! After the first loop, I could not believe it, but Oliver came up from behind me!! Turns out, Oliver didn’t feel well during the swim and barfed three times. He said that his vomit was red, but definitely not blood. We still haven’t figured out why that could possibly be. At this point in the ride, he was still having stomach issues and feeling unwell. Maybe 30 miles later, I pretended to not know who he was as I slowly passed him on the left (heehee). We didn’t talk much because neither of us wanted a yellow card penalty from the officials, but he said he still wasn’t feeling well. I went ahead hoping he’d chase me, but I didn’t see him again until about mile 100. Near the end of the bike course, Oliver caught up and rode next to me for a bit. It had to have been less than 30 seconds later before an official threatened to give me a yellow card for blocking! I only knew how to say, “Es mi novio!” in Spanish, and after a short lecture and warning, they drove on. Phew! A yellow card penalty would have meant that I had to sit in the penalty box for 5 minutes. I always take a lot longer to transition, so I tried to finish the bike as fast as I could to buy me more time. There was almost no one in the changing tent, which was strange to me, but meant I had a team of 4 ladies applying sunscreen on me at the same time. 💁🏻 I very much enjoyed that attention. Oliver was only a little bit ahead of me so I caught up with him within a few minutes. I was so overwhelmed with joy that we were starting the run together!! I was also ECSTATIC that I didn’t pop a tire, my knee wasn’t hurting yet, and that I was generally feeling so good. Unfortunately, Oliver still wasn’t looking or feeling so well, so we walked a bit, and talked a lot for the first 4 miles or so. After a while, I decided to run faster (translation: I turned it up from a 12 min/mile to a 10:30 min/mile 😂). I thought that my ITBS might flare up again, which would mean Oliver would later catch up to me, so I didn’t feel guilty about leaving him. Sunset in Cozumel is so breathtakingly beautiful, and dusk has always been my favorite time of day. As tired as I was, it was really magical to be running outside to feel the temperature finally drop and to see the views become even more stunning. At around the half-way point, I realized that I could finish under 13 hours if I maintained a 12-minute mile. I was pretty sure I could do that. And then it just became a never-ending game of mental math that I’m sure every endurance athlete plays. At mile 18, I started feeling a little hungry, but also couldn’t actually eat anything. I was starting to really hurt too, and was so desperate for inspiration that I started imagining what it might feel like to give a natural birth, or cut my own arm off in order to save my life. I thought of the inspiring stories in this Kona video that I’ve been obsessed with for months. Moments later, I couldn’t stop crying. I was so happy. I think the only time I have ever felt so overwhelmed with pure joy that I burst into tears of happiness was when I was accepted into MIT. There’s no other way to describe it other than pure joy. I wanted to wait to watch Oliver cross the finish line, but they didn’t let me. I had to sneak my way back to the finish line, where I sat in a chair for about 15 minutes. Finally, the volunteers told me that #1046 was estimated to finish in another 15 minutes or so, and I should get a blanket otherwise I’d catch a cold. I agreed, and was escorted back to the main recovery tent. 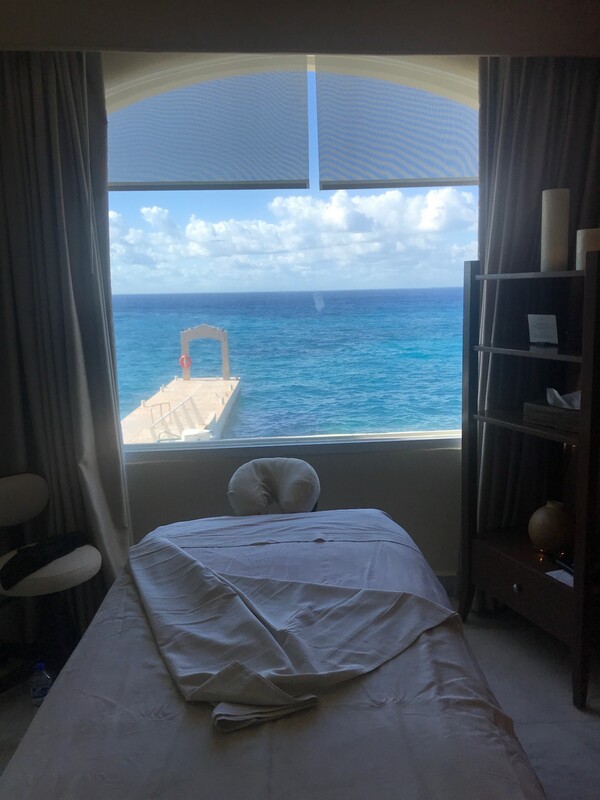 I went to get a post-race massage, which was the most amazing thing in the world. I’m sad I didn’t have money to tip my masseuses (plural!). I wish I had something to give them, but all I had was what I was wearing (which no one in the world would want). Afterwards, I went and found Oliver, who finished the race in 13:28:29. I am SO proud of him because he had an exceptionally tough day, barfing in the first hour of the first leg of a very long race. He’s a tough one. I decided to go pick up our bikes and transition bags. But of course, they wouldn’t let me pick up Oliver’s things for him without the permission slip, so I walked all of my stuff back to our hotel, grabbed my phone, filled out the permission slip, left Oliver a note in case we missed each other, and left to make a second trip. I really wasn’t thrilled about all of the extra walking I was doing, but luckily, we crossed paths right outside of the hotel! After picking up his bike/bags and taking photos together, I waited for him to get his post-race massage. I was so incredibly happy to be reunited with my phone and to see all of the messages I had missed from the day! A special thank you to LaNae and Danny who are professional supporters and FaceTimed me! And of course to Kay, Jim, and my both of my parents. Sister, reading your commentary throughout the race made me laugh cry –– thank you so much for being there in spirit! One more time, because I love these photos!!! Oof. So sore. So hungry. After hobbling to breakfast and congratulating a dozen other Ironman finishers who were also hobbling, we went straight to the front desk to cancel our scuba excursion. We lounged. Read. Ate. Pooled. Ate. 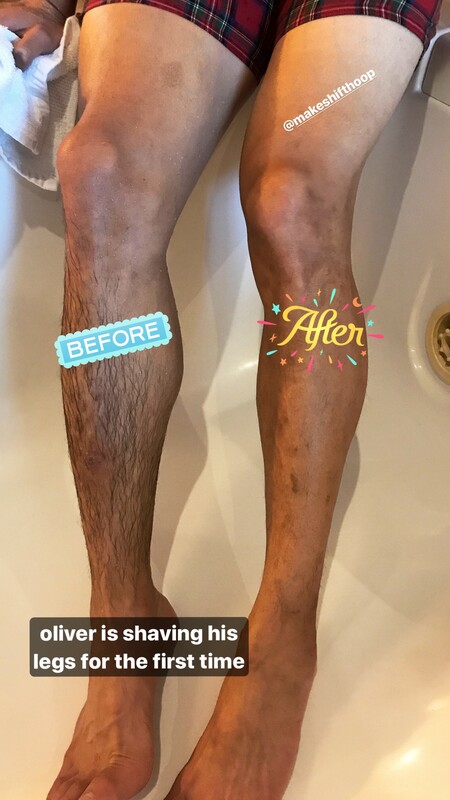 Did a little work. Ate once more. And then got our massages. We also went to the World Champion Allocation Ceremony, which was so inspiring! I have no words. I cannot imagine how it must feel to qualify for and race in Kona. Inspired by the amazing athletes at the ceremony, and the incredible energy of finishers and supporters, Oliver and I spent the night looking into other Ironman races we might do. Big thanks to LaNae Nix and Danny Rueda for being most of the reason we are Ironmen, Tammy Choy for teaching us to swim, everyone at Shift, Kate Major for the sports massages, and everyone else who helped us become Ironmen! MIT. Neuroscience PhD dropout turned web developer. I’m the novelty-seeking ESTP and Ironman behind Key Values (www.keyvalues.com).